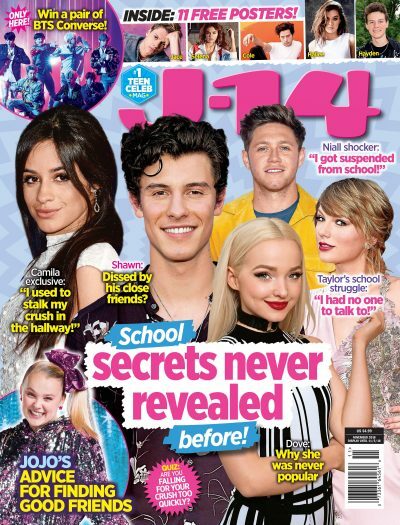 The first round of J-14‘s 2018 Dream Mistletoe Kiss has come to end! After many of your votes for the actor, singer, and web star you would want to kiss underneath the mistletoe, we have finally narrowed down the nominees to the final three contenders! Shawn Mendes was voted most for “Singer,” Cameron Dallas won the “Web Star” category, and Noah Centineo had the most votes in the “Actor” category. So who is the most kissable of them all? It’s time to vote for the official winner of J-14’s 2018 Dream Mistletoe Kiss. Vote in the poll below! Which celebrity would you want to kiss underneath the mistletoe the most?